The Chinese company submitted documents Thursday to list shares on the Hong Kong stock exchange. Its filing didn't give details on the size of the planned IPO, but reports have suggested it could be worth around $10 billion. A deal of that size would make it the biggest stock market listing since Alibaba (BABA) went public in September 2014, according to Dealogic. Xiaomi, one of the world's most valuable startups, declined to comment Thursday on the value of the IPO, which is expected to happen in the next couple of months. When it raised money in late 2014, Xiaomi was valued at $45 billion. Some recent reports have suggested the IPO could put its valuation around $100 billion, but a person familiar with the company's plans to go public told CNNMoney that it would be lower than that. The company says it sells its products in 74 countries and regions. It has enjoyed particularly strong growth in India, where it has overtaken Samsung (SSNLF) as the biggest selling smartphone maker. The documents Xiaomi filed Thursday shed some light on its finances, showing revenue soared nearly 70% last year to around 115 billion yuan ($18 billion). Operating profit more than tripled to 12 billion yuan ($1.9 billion). CEO Lei Jun said in an open letter Thursday that the crisis was "a turning point" for the company. "As far as we know, apart from Xiaomi, there has never been another smartphone company that has successfully rebounded after a decline in sales," he wrote. 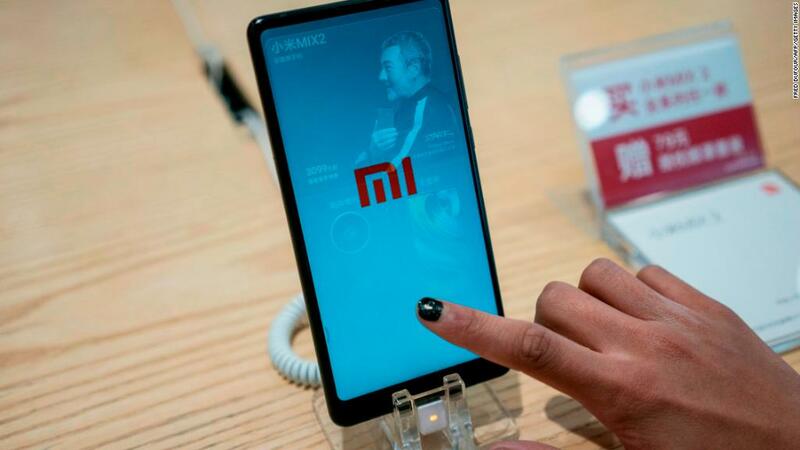 Like Apple (AAPL), Xiaomi also makes money through services linked to its smartphones, which come with Xiaomi-branded music and video streaming apps already installed. Last year, Xiaomi's internet services business brought in about 10 billion yuan ($1.5 billion) in revenue. But that's still a fraction of the 80 billion yuan ($12.5 billion) it made from smartphone sales. Xiaomi is seeking to go public at a sensitive time for Chinese tech companies. US officials have warned Americans against buying smartphones from two other big Chinese firms, Huawei and ZTE, saying they pose a security risk. Chinese tech companies have also found themselves caught up in a trade dispute between Washington and Beijing. Xiaomi acknowledges that a trade war could be a risk for investors. In its filing Thursday, the company said that in the event of trade or import protection policies, "our business and operations may be adversely affected."